1. Sierras enjoy big snow year. California ski resorts struggled for several years earlier with a drought, but those memories were buried under a banner season for snowfall in 2016-17. With so much snow, Mammoth Mountain plans to stay open through July 4. Farther north in the Lake Tahoe area, Squaw Valley also plans on July 4th skiing with 710 inches of snowfall through mid-April. Nearby Sugar Bowl measured almost 800 inches of snowfall at that point in the season. Read more. 2. Vail Resorts buys Stowe. Vail Resorts made the season’s first big resort deal by purchasing Stowe Mountain Resort in February. The Vermont resort became the first resort in the East for the nation’s largest ski resort operator. The company has been expanding its portfolio of resorts in recent years with acquisitions of other big destination resorts such as Whistler Blackcomb and smaller ski areas close to urban areas such as Wilmot Mountain near Chicago. The corporate strategy ties into its popular Epic Pass, a season-pass product that offers access to all of the company’s resorts. Read more. 3. Aspen and KSL join forces. Aspen Skiing Company and the private equity firm KSL Capital partnered in April to buy publicly traded Intrawest that owned Stratton, Steamboat, Winter Park and several other ski areas. Just a few days later, the new partners bought Mammoth Mountain along with a few other smaller California ski areas. Although several of these resorts were already part multi-resort season passes such as The Mountain Collective and M.A.X. Pass, those passes will not change for the upcoming ski season. However, ski industry watchers were already speculating about how a pass for this new group of resorts might challenge the Epic Pass for the 2018-19 season. Read more. 4. 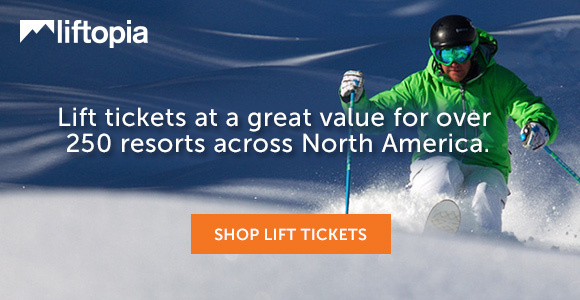 U.S. resorts host World Cup racing. New opportunities for Americans to watch World Cup ski racing highlighted the 2016-17 season. Killington Resort in Vermont drew an American record of 30,000 spectators over two days. Held in November, the women’s giant slalom and slalom races were the first World Cup races held in the eastern United States since 1991. Also the women’s side, the season finished in March with the first World Cup racing at Squaw Valley since 1969, followed by the World Cup Finals in Aspen. The World Cup Finals that also included men’s racing had not been held outside Europe since 1997. 5. Jackson Hole goes dark temporarily. Jackson Hole Mountain Resort in Wyoming endured a challenging time in February after a windstorm downed power lines to the entire resort. The unprecedented closure lasted for almost a week. Hard-working crews got the state’s biggest resort up and running again for an otherwise outstanding season. Averaging about 460 inches annually, the resort dwarfed its average with almost 600 inches of snowfall. Read more. It’s NOT Sierras. There is no “s” at the end. It is just The Sierra.